In this day and age Native American Indians of the Southwest are thinking differently than in the past. The youngsters are now going to college and they want to be part of the standard American society. 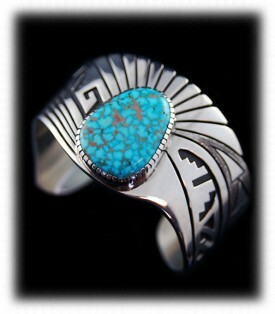 Many young Navajo individuals do not want to follow in their family traditions or trade. I have been told by many that Navajo kids would rather work at McDonald’s then learn the Jewelry trade. In the past several months, the Silver market has escalated astronomically and as of today, (6-2-11,) the Silver market is at $36.15 per ounce, which is up from about $16.00 per ounce one year ago. Even at $16.00 per ounce the Navajo Jewelers were having a hard time coping with the high price of Silver as it had set at $6.00 per ounce for many years. 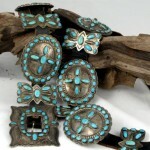 When you factor in the recession and the cost increases that have been taking place for Turquoise, the Native Americans are loosing interest in making Jewelry as their investment in materials are astronomical and the marketplace is having difficulties. 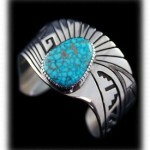 Many Native American Jewelers are looking for and getting jobs in other fields today and the production level of Native American Turquoise Jewelry is down dramatically for 2011 so far. 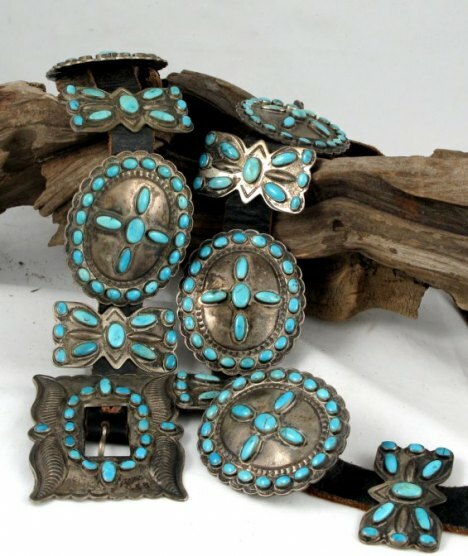 It is possible a shortage of Native American Turquoise Jewelry could have a positive long term affect as well, however, it is doubtful inexpensive authentic American Indian Turquoise Jewelry will return to the marketplace.